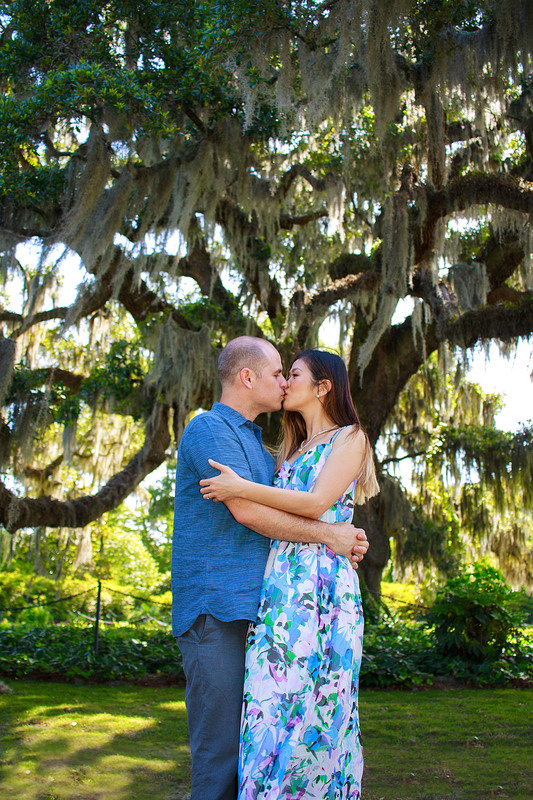 I love a good botanical garden engagement shoot. 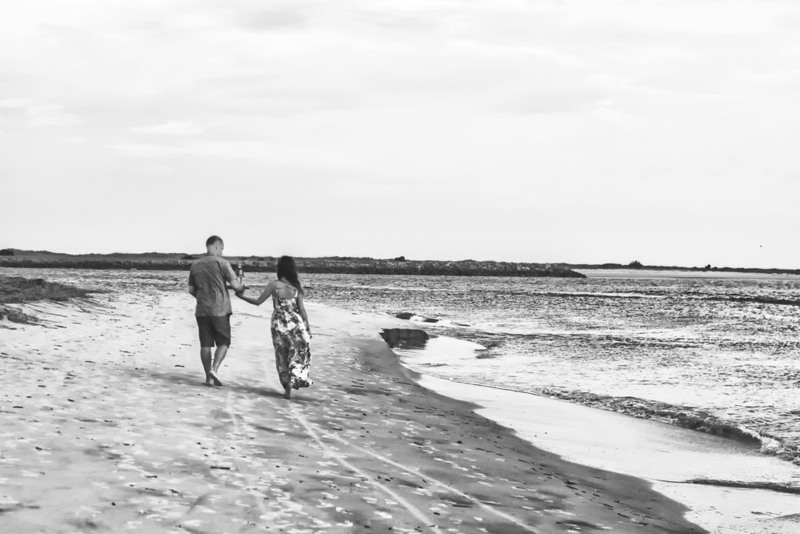 I especially love a morning engagement shoot in beautiful Airlie Gardens followed with part two of their shoot at sunset on Wrightsville Beach. Yep, perfection! 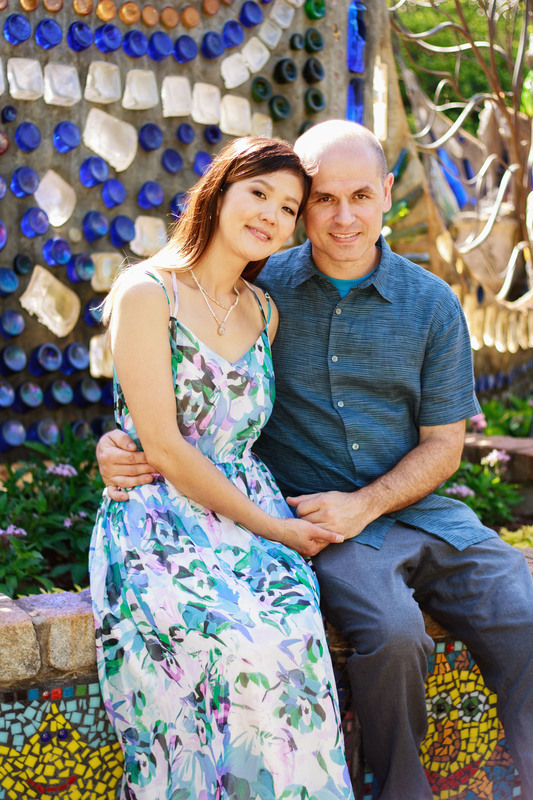 An engagement shoot is the perfect way to spend a little time not only celebrating and capturing your relationship as a couple, but also to really build a relationship with clients before their wedding day. 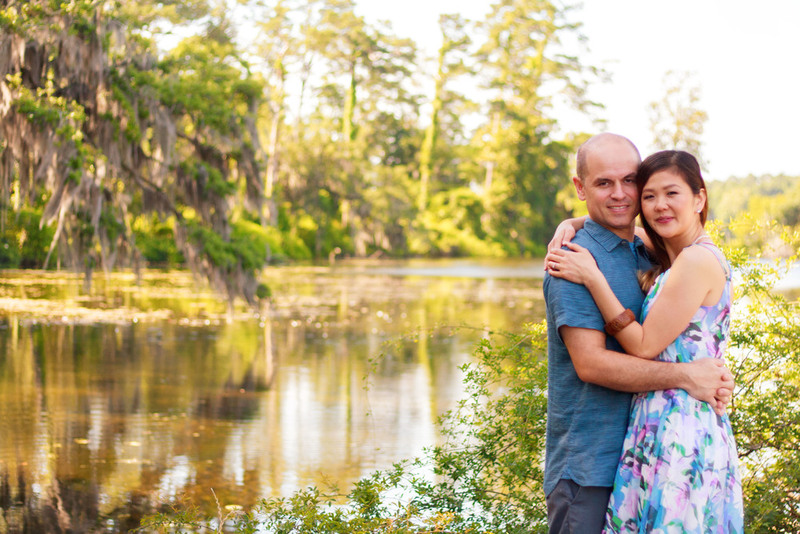 Every wedding package I offer includes an engagement shoot for this very reason! Brian & Amy were so ridiculously happy and really fun to photograph, I am SO excited about their upcoming wedding in just a few weeks time. Let's dive into their photo shoot, shall we? 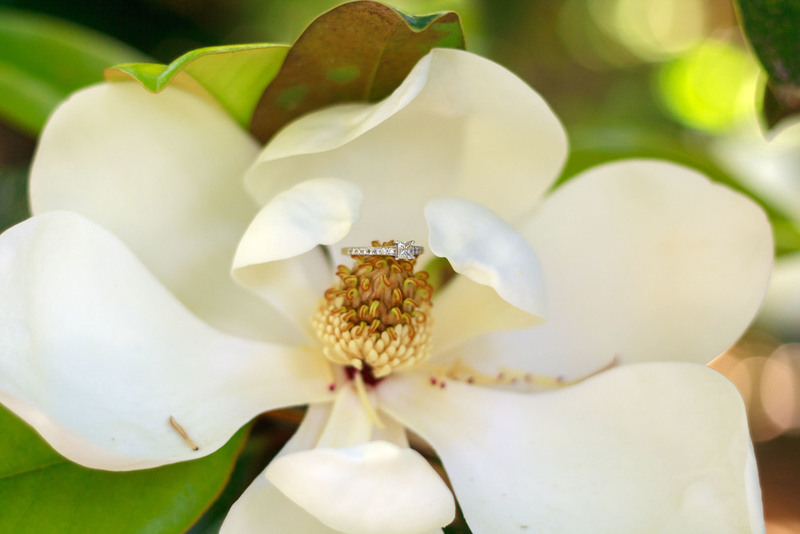 First up, our morning spent at the gorgeous Airlie Gardens in Wilmington, NC! 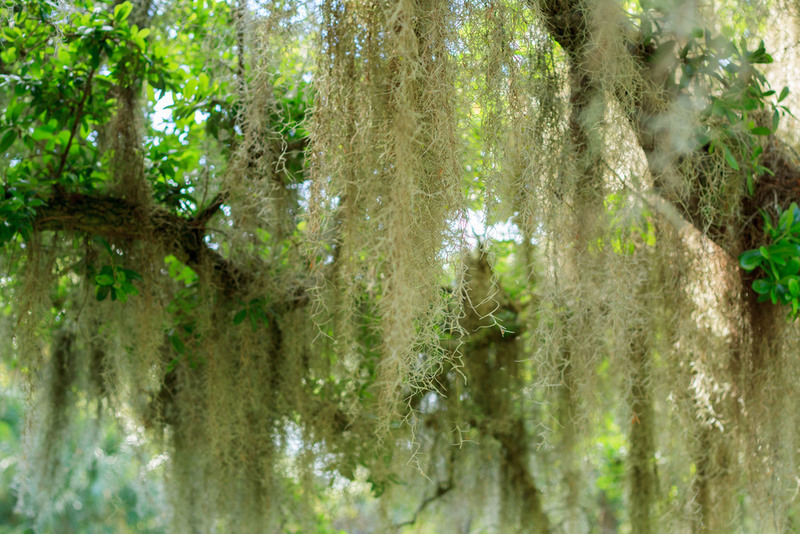 One landmark we really wanted to take advantage of during their Airlie shoot was the "Airlie Oak". This oak tree is over 400 years old and is SO beautiful. I think my favorite thing about Brian & Amy is how playful they are with each other. My cheeks hurt from laughing with them, haha. Always a good sign! Next up, Wrightsville Beach! Initially, we were worried about the weather but it could not have been more perfect! 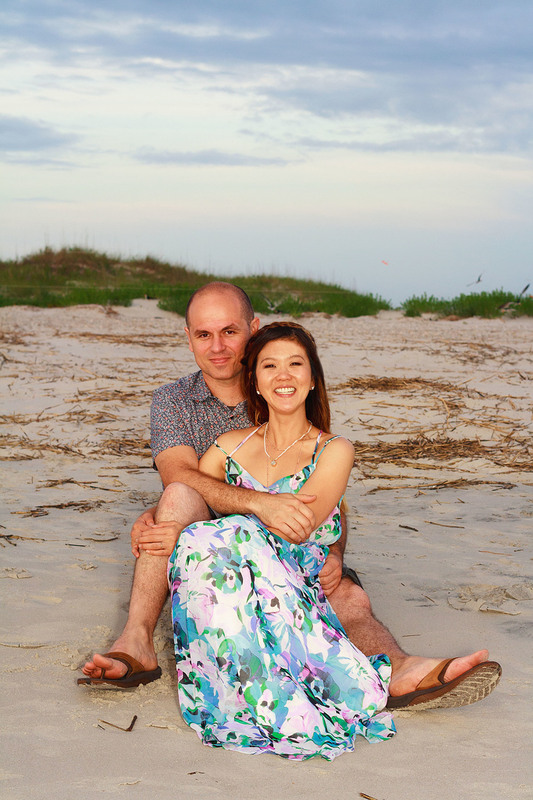 Love a sunset beach shoot, such beautiful natural light and the scenery cannot be beat. 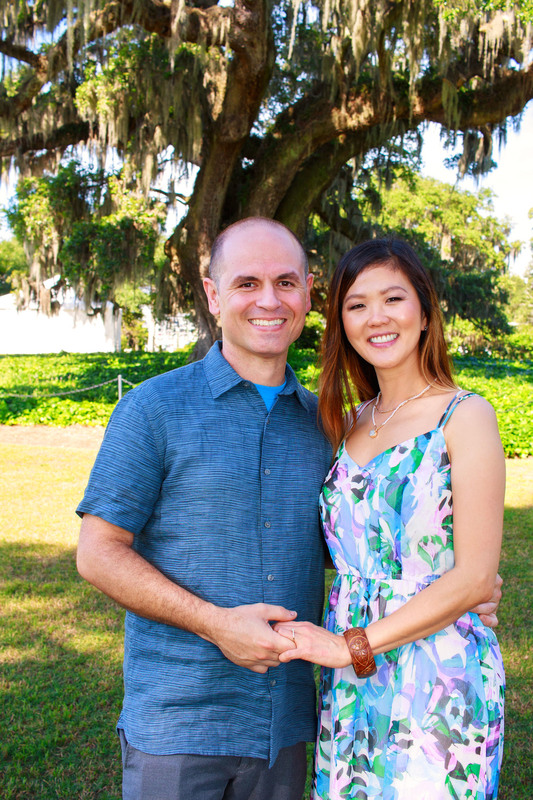 Brian & Amy, we are so excited to photograph your wedding day. Congratulations!